Let’s start with a general question first. How long have you been fishing and is it your main hobby? – My father took me for a fishing trip when I was 4 and that changed my life forever. – Every day off and very often after work for at least 2 hours. Every day off and very often after work for at least 2 hours. It’s a lot. I’m jealous ! What fishing methods you use? 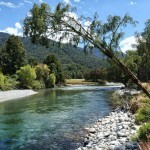 – Lure fishing in general – spinning, trolling and casting. What are your favorite lure types? 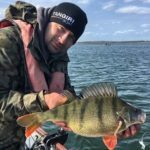 Are there many anglers in Bulgaria, is it popular hobby? – Unfortunately there are many poachers in Bulgaria and this is our main problem here. They extremely reduce fish stocks. At the same time there is no proper law that would punish these people. The country is not interested in the problem. So I and my friends got together and for last 10 years we’ve been stocking lakes by ourselves. We already see the results ! Nobody helps us and we don’t have any support from Bulgarian organizations. We also cannot say where we release fish because of poachers. We have to be very cautious. 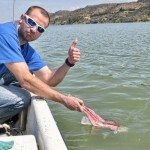 What about Bulgarian anglers – whether they release fish? Maybe in the future it will change. For example, in Poland it is better than it used to be. There are still poachers and many anglers do eat fish, but less and less. So let’s move to nicer topics. For example about your huge pike 🙂 How have you caught it? 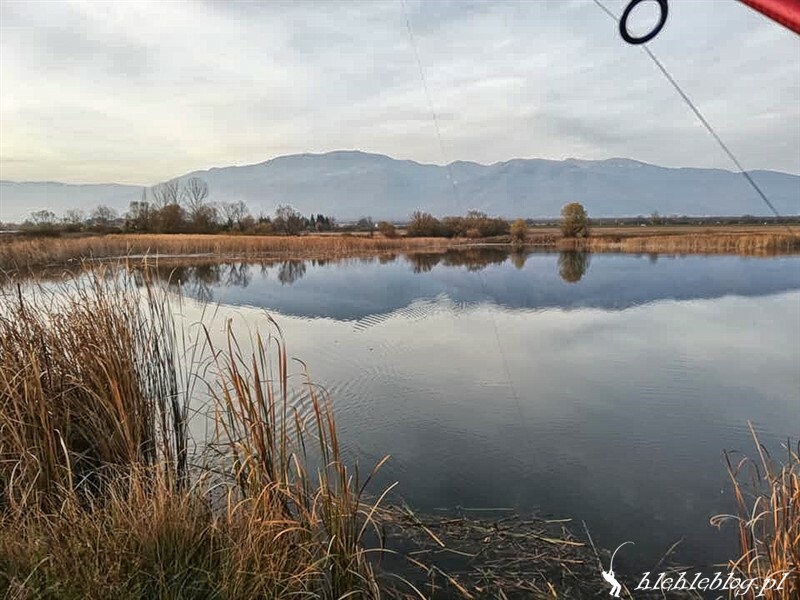 – The story is as follows … I fish a few favorite lakes. I’ve been fishing them for years, observing the changes all the time. One of them was normal lake 10 years ago. 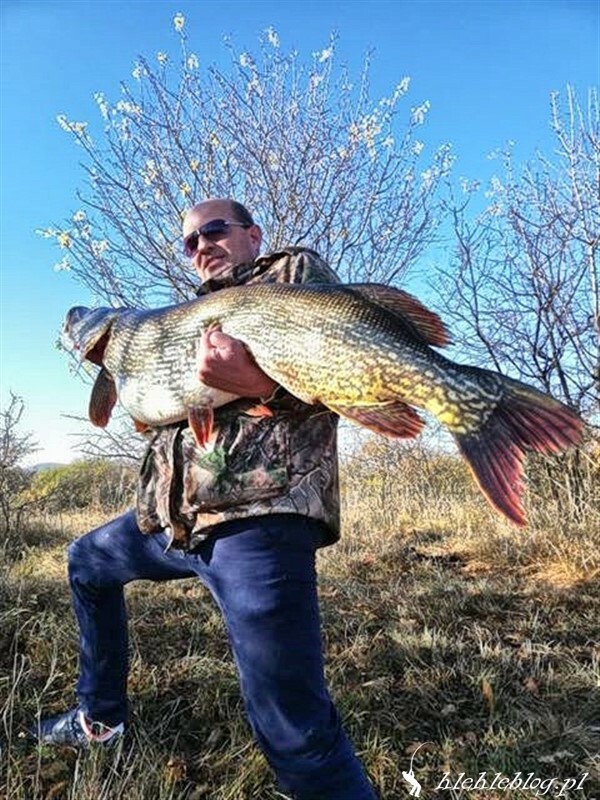 You usually caught pike between 1kg and 2kg. Sometimes 5-7 kg. 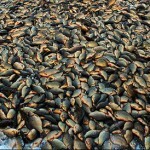 There was a lot of crucian carp, rudd, perch and more. After a few years everything had changed. All these fish almost disappear. I talked to local anglers and they had really bad results. They struggle even when using live baits. There were still big carps spawning but there was almost no small fish. They said that poaching is not a problem on this lake. I and my friends couldn’t catch anything in this lake anymore. So it started to be suspicious to me. I spent a lot of time fishing all typical pike spots on the lake – nothing. So I decided to try a live bait instead and after a few hours I caught only a small jack. I couldn’t stop thinking about it. I wanted to find out what had happened to the lake. What is the reason of this change. 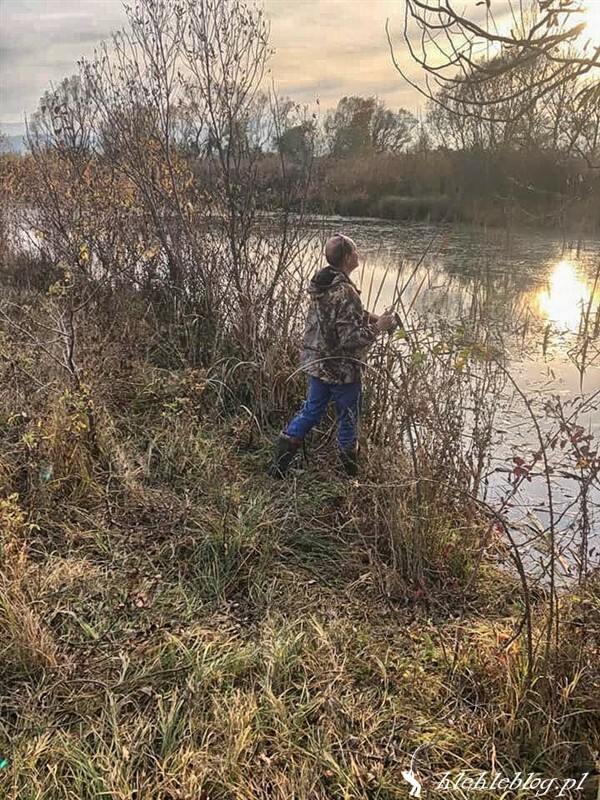 Not many anglers anymore, no poachers, no small pike but still not many fish at all… So I started to think it’s because of some serious predator , maybe huge pike. In October I decided to change everything in my tactic. I decided to fish only big lures and completely different spots like for example deep holes that I hadn’t fished before … and it did worked ! The strike wasn’t typical hit but more like a very strong stoppage. I hooked and soon the water erupted. The beginning of the fight was brutal and mad but it didn’t take much time. She run for 10 meters three times and that was about it . After 10 minutes she was mine. I was surprised that she didn’t jump or shake her head at all. She was massive and I was thinking how to land it without hurting her but fortunately she was really calm when I took her out of the water. – I would prefer to keep it secret. I’m afraid it will be misused and it’s better not to say. 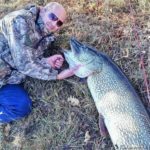 I understand that and I agree 🙂 Do you know anything about other monster pike in Bulgaria? – I’ve never heard about a pike of similar size here. I know this pike is extraordinary. It’s like an unicorn. Have you caught any other big pike? – I have caught plenty of pike but only up to 10 kg. Could you tell us more about the venue? Is it a lake? What is the characteristics? – It’s a very beautiful place. The lake is very small. It’s about 5 ha. There are a lot of weeds even on 10 meters deep. Additionally there are two small streams coming into the lake that carved deep troughs. So you have plenty of weeds and deep slopes – ideal for pike. Is it a natural lake or a reservoir? – It’s an very old reservoir. There are not many fish nowadays, so I planned to stoke it with pike. I plan to buy around 100 of them and release to the lake. 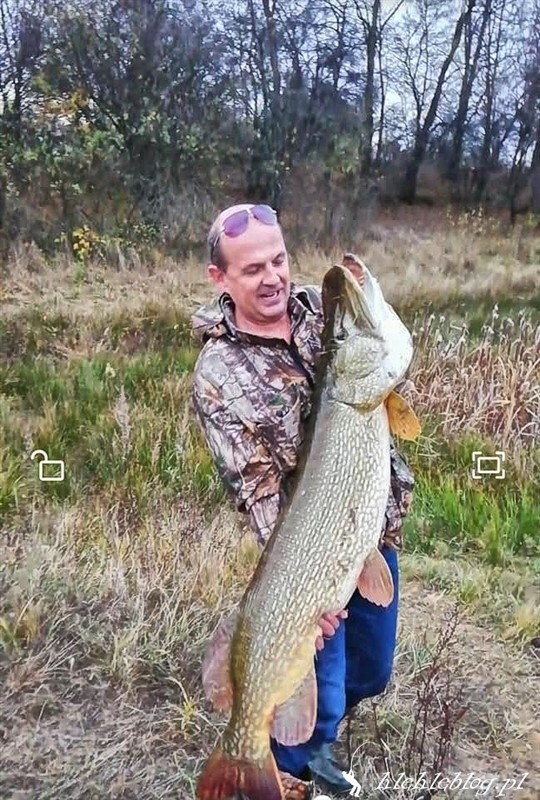 So, how this pike grew so big if there is not much food in the lake? – It used to be a lot , so she could grow. Now she can it fish even 5kg big. I think she eats other pike and the ones of 2-3 kg are normal for her. One day I hooked a pike of 3-4 kg and another pike (about 15-20 kg) attacked that fish. The big one swallowed the small pike and also cut my line over the leader. I’ve observed that when big pikes are active the small ones are hiding and just disappear. At such day I catch only big pike if any. My next plan is to try big soft lures in winter when there is no weed in the water. Thank you Petar. It was a pleasure talking to you. 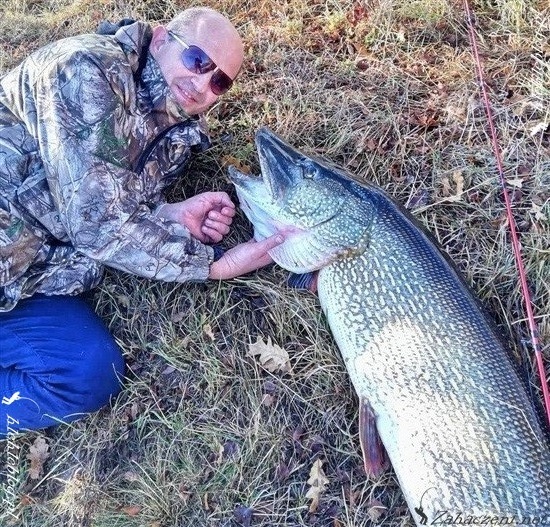 You told us a lot about this monster pike. I hope you’ll get another huge one soon. Don’t forget to tell us about it and send photos to us. Have you even read the interview? 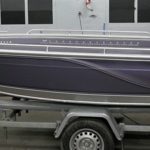 It’s not the UK, it’s not Netherlands, it’s not Sweden… It’s Bulgaria and the fishing culture is different there. If you lived in a country with different role models you would do the same.